Scientists have long believed that MDMA could be used to treat post-traumatic stress disorder, but a new study may have proven it. According to Inverse, researchers have concluded that MDMA is one of several psychedelic drugs useful in the treatment of post-traumatic stress disorder. After extensive research, the U.S. Food and Drug Administration (FDA) has now confirmed it’s planning to launch Phase 3 clinical trials, using MDMA to treat PTSD sufferers, and may eventually make ecstasy an approved prescription medication. 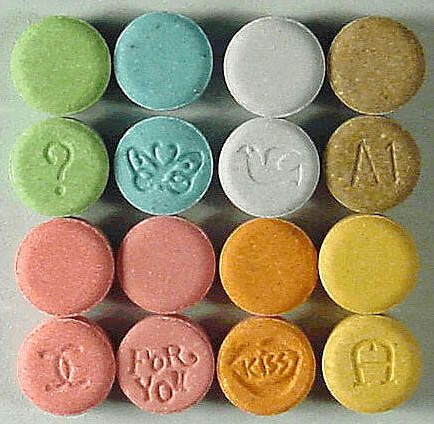 In a recent interview Brad Burge, director of communications at the Multidisciplinary Association for Psychedelic Studies (MAPS) and one of the people trialling ecstasy pills for market, discussed the study. Our Phase 2 study has treated 236 people, and Phase 3 will involve 200-400 subjects from all sorts of causes across the U.S., Canada, and a lot of different countries. Phase 3 starts around 2017, and it will take four to five years to finish. So that will put it at early 2021 for FDA approval. Don’t go thinking that ecstasy bought on the streets is good for you though, laboratory studies have shown that only pure MDMA has been proven sufficiently safe for human consumption when taken a limited number of times in moderate doses. Several previous studies have suggested that victims of severe trauma could benefit the most from the proposed trials, as Ecstasy is known to have a direct effect on the amygdala, the part of the brain most responsible for the ‘flight or fight’ response.